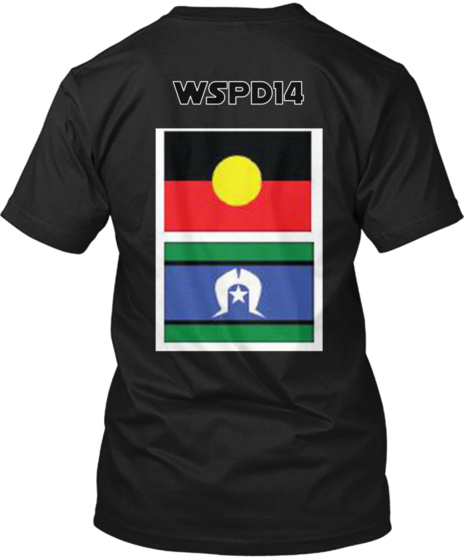 Categories: #WSPD, Indigenous, Indigenous LGBQTI - Black Rainbow, Indigenous Suicide Prevention, LGBTI, Mental Health, Suicide, Two Spirit | Permalink. 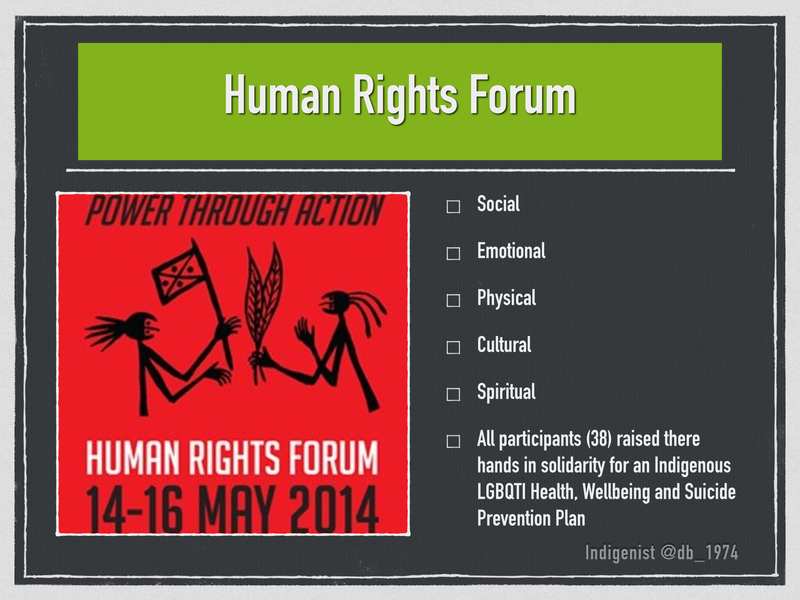 Categories: Articles of Interest, Indigenous, Indigenous LGBQTI - Black Rainbow, LGBTI, Two Spirit | Permalink. “Two Spirit” is an aboriginal phrase (A direct translation of the Ojibwe term Niizh manidoowag) that refers to both masculine and feminine spirits simultaneously living in the same body. 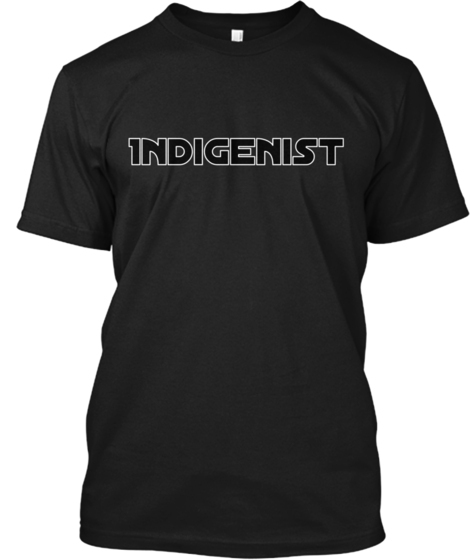 It is a term used by the native, indigenous, or aboriginal lesbian, gay, bisexual and transgender community. 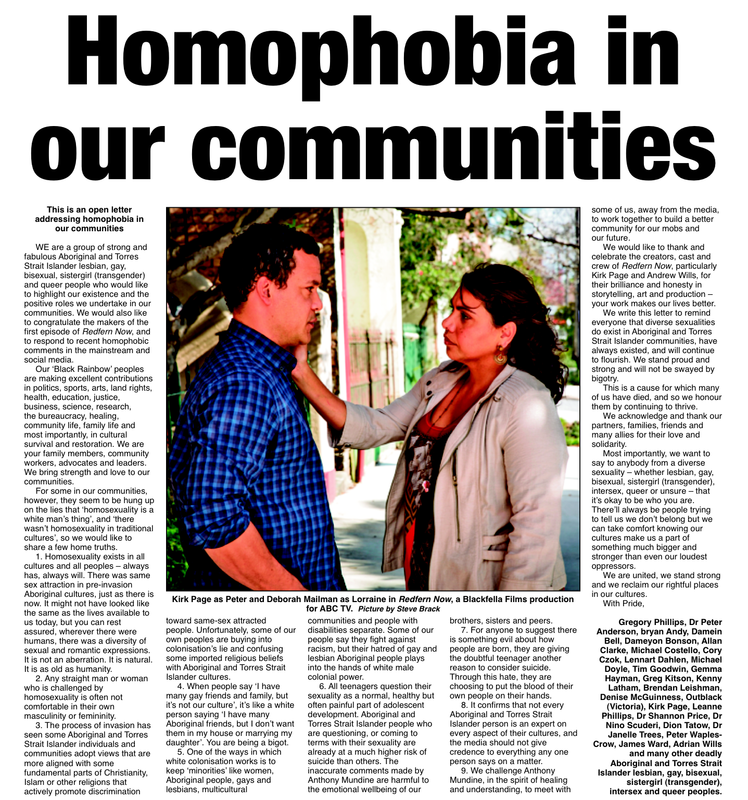 Within the various native or aboriginal populations (American Indian, Canadian Indian, Alaskan Native, Inuit, First Nations, and others), LGBT individuals often have difficulty overcoming the cultural taboos against homosexual behavior. 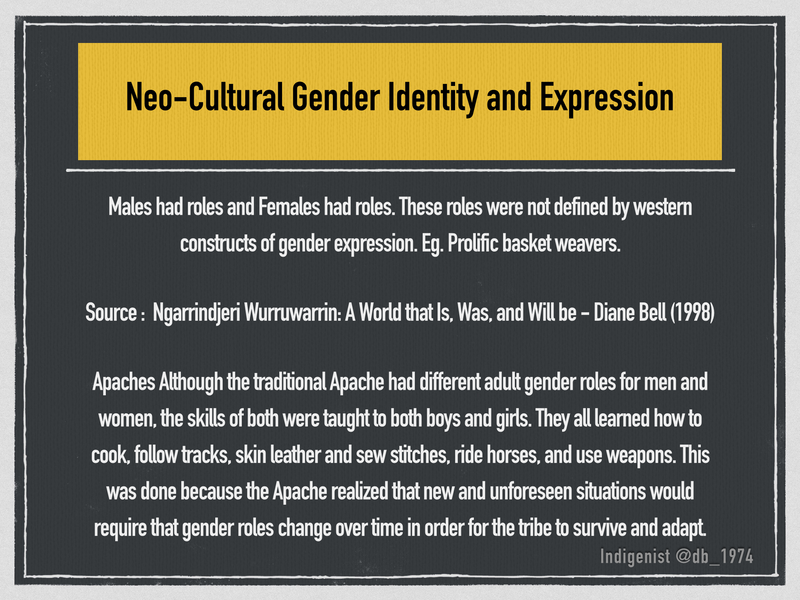 As a result of tribal community pressures, young people who have a different sexual orientation often grow up in a closeted existence or actual isolation. This imposed isolation is self-destructive and limits individuals from living to their fullest potential. In a school environment, many of these young people are subjected to bullying and harassment from their classmates. In this atmosphere, support is generally unavailable and creates an unsafe environment within the school. Nonetheless, there are exceptional gay students who somehow endure and who are accepted as equals by their peers. However, the majority of gay students exhibit behaviors such as skipping school, which affects their academic performance, or simply will become a run away from both home and school. For the Native LGBT who seeks life in a city for anonymity, the experience can be far more negative than staying within their home community. Like most natives reared in a tribal community, Native LGBT retain pride in their identity, where they are from and who are their relatives. Living in a city can unfortunately give a sense of alienation that is both physical and emotional. Native LGBT individuals often grieve their separation from family and community when they are unaccepted in a city because of their lifestyle as well as being a Native. 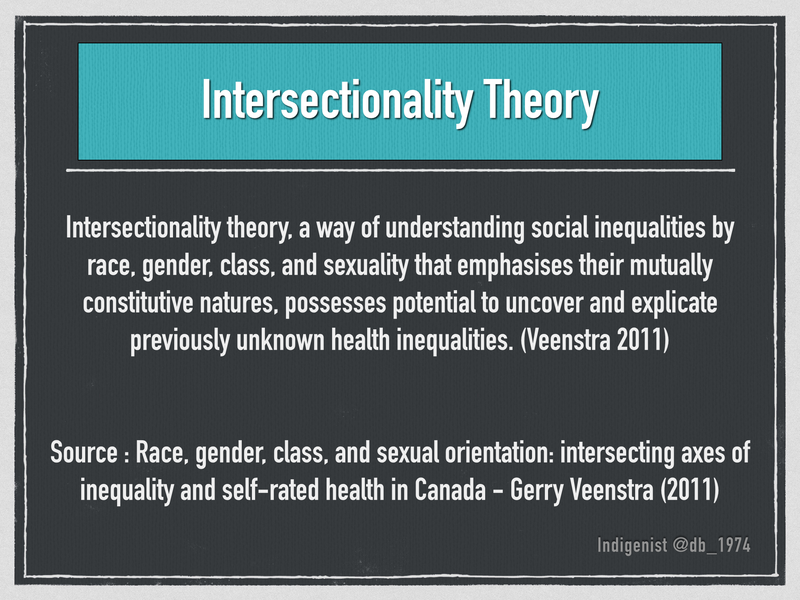 This experience results in a double discrimination for Native LGBT instead of the desired anonymity. 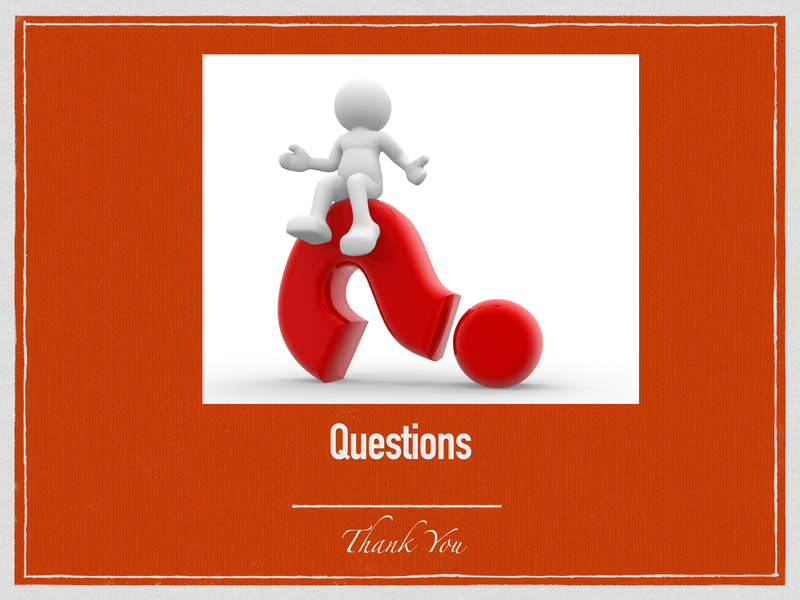 The Third Conversation: Has Anything Changed? 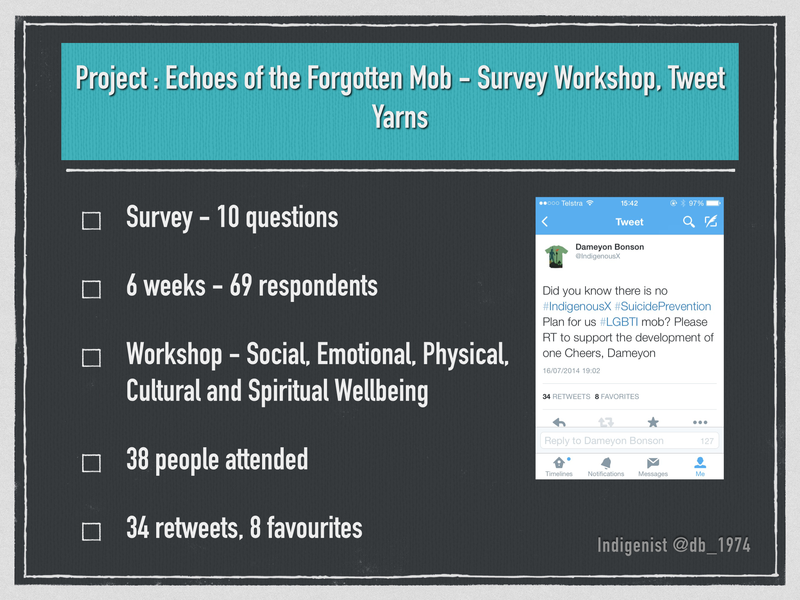 Attached is the final Report from our gathering – The Third Conversation on 23rd and 24th June 2014. The Call to Action from this is both seperate and part of the overall report with the proceedings. 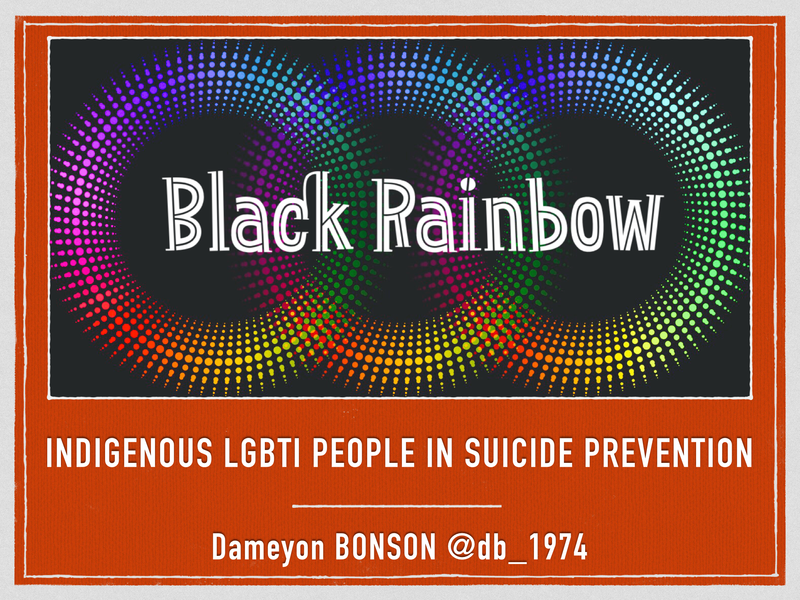 Categories: Dameyon Bonson, Indigenous, Indigenous LGBQTI - Black Rainbow, Indigenous Suicide Prevention, Mental Health, Suicide | Permalink. 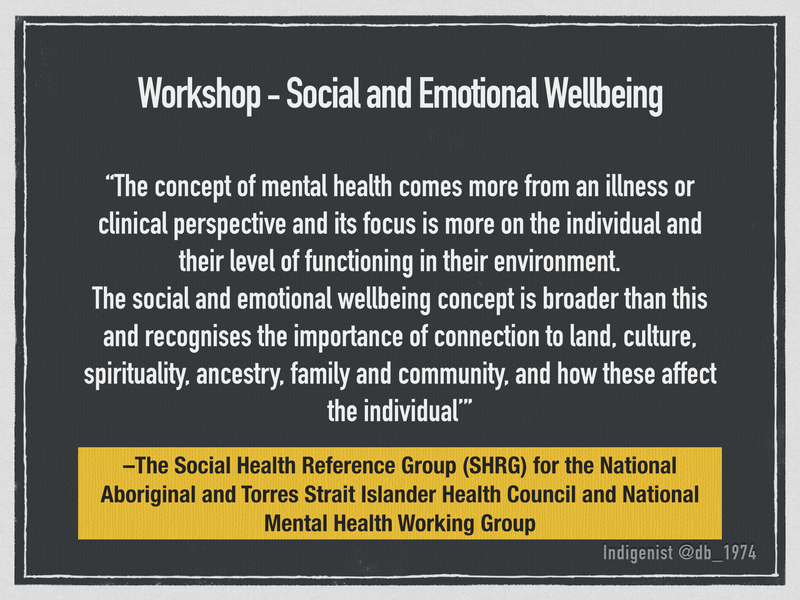 To reference : Bonson, D 2014 1997, ‘Voices from the Black Rainbow – Indigenous LGBQTI in Suicide Prevention: SDOH and Intersectionality, paper presented at the Equity @ the Centre: Action on Social Determinants of Health, 22nd National Australian Health Promotion Association Conference & 18th Chronic Diseases Network Conference, Alice Springs, 4-5th September. 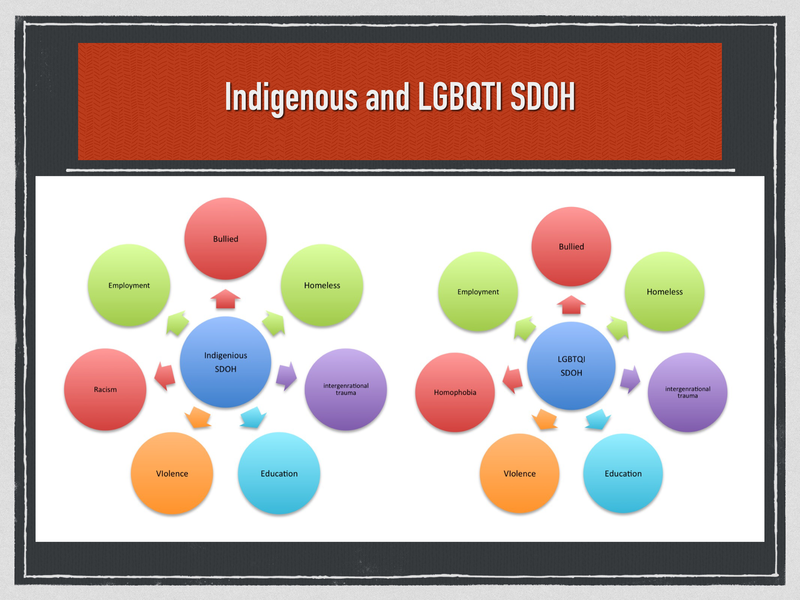 Categories: Dameyon Bonson, Decolonisation, Indigenous, Indigenous LGBQTI - Black Rainbow, Indigenous Suicide Prevention, LGBTI, Mental Health, Suicide | Permalink. This research report examines self-continuity and its role as a protective factor against suicide. 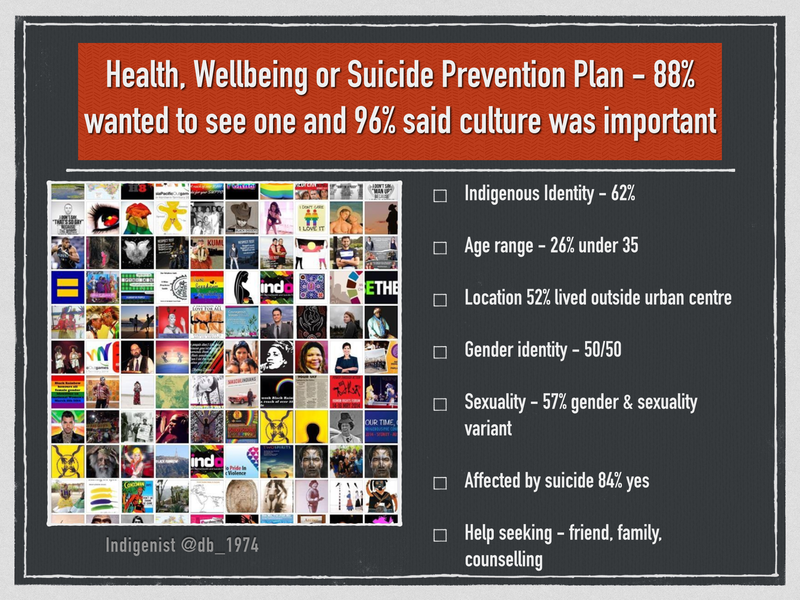 First, we review the notions of personal and cultural continuity and their relevance to understanding suicide among First Nations youth. The central theoretical idea developed here is that, because it is constitutive of what it means to have or be a self to somehow count oneself as continuous in time, anyone whose identity is undermined by radical personal and cultural change is put at special risk to suicide for the reason that they lose those future commitments that are necessary to guarantee appropriate care and concern for their own well-being. It is for just such reasons that adolescents and young adults—who are living through moments of especially dra- matic change—constitute such a high risk group. 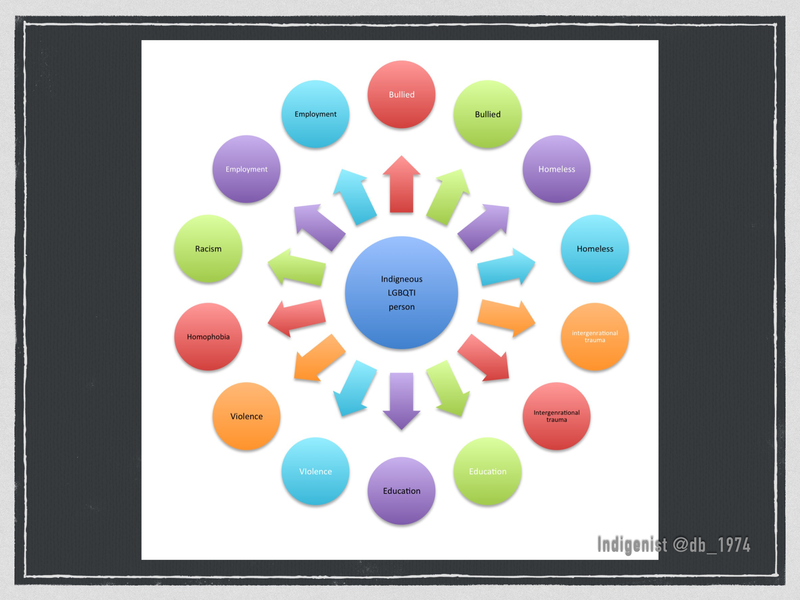 This generalized period of increased risk during adolescence can be made even more acute within communities that lack a concomitant sense of cultural continuity that might otherwise support the efforts of young persons to develop more adequate self-continuity warranting practices. 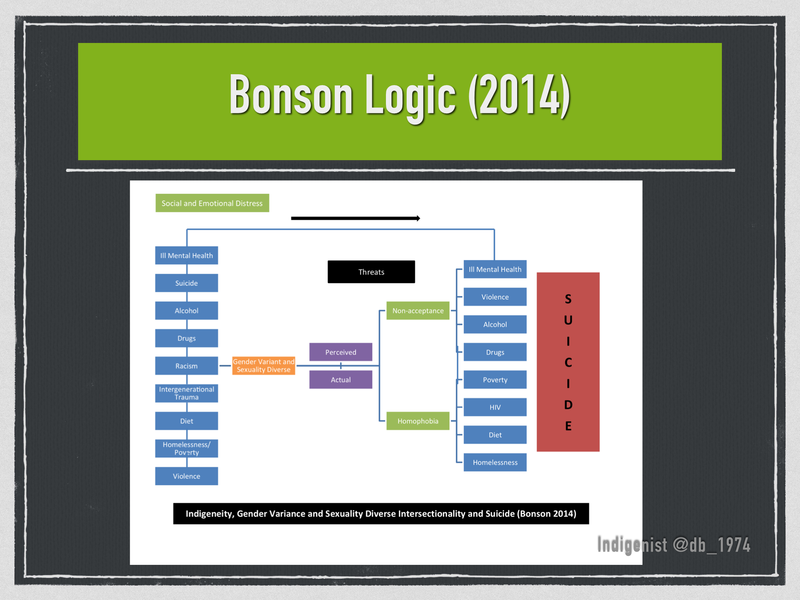 Next, we present data to demonstrate that, while certain indigenous or First Nations groups do in fact suffer dramatically elevated suicide rates, such rates vary widely across British Columbia’s nearly 200 aboriginal groups: some communi- ties show rates 800 times the national average, while in others suicide is essentially unknown. Finally, we demonstrate that these variable incidence rates are strongly associated with the degree to which BC’s 196 bands are engaged in community practices that are employed as markers of a collective effort to rehabilitate and vouchsafe the cultural continuity of these groups. Communi- ties that have taken active steps to preserve and rehabilitate their own cultures are shown to be those in which youth suicide rates are dramatically lower. 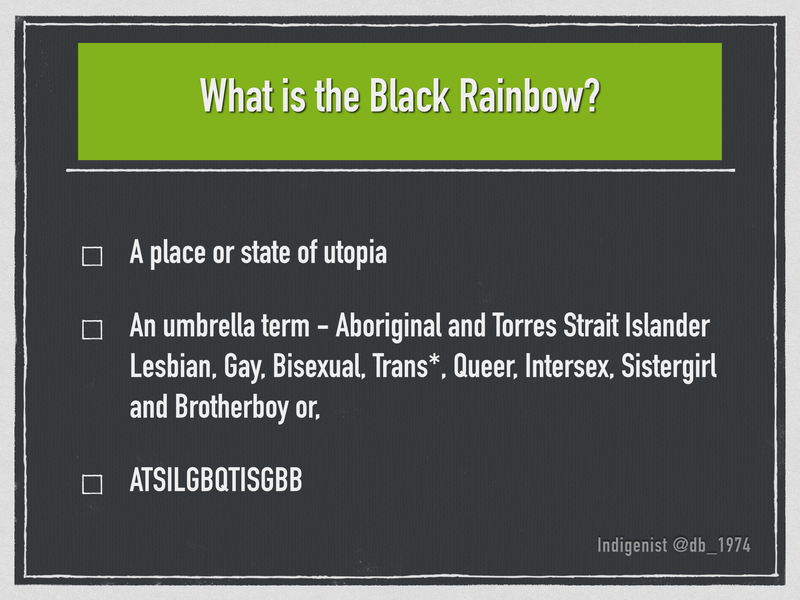 Categories: Decolonisation, Indigenous, Indigenous LGBQTI - Black Rainbow, Mental Health, Suicide | Permalink.